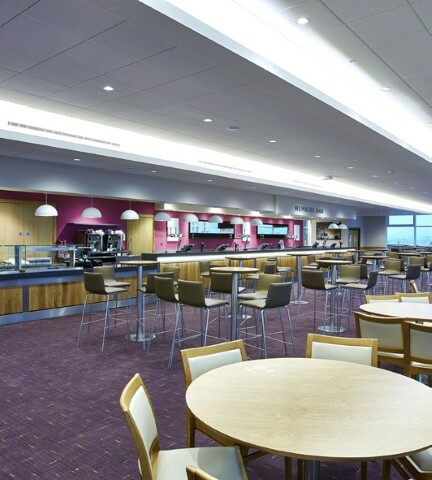 The Redevelopment of Cheltenham Racecourse was officially opened in November 2015, to great acclaim, by The Princess Royal. 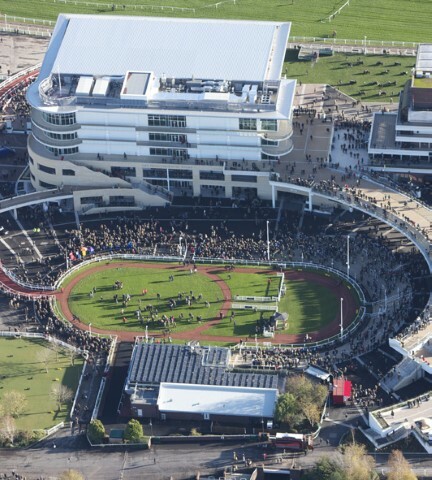 The dramatic new complex creates a dynamic amphitheatre around Cheltenham’s world famous Parade Ring, whilst massively improving circulation. As a UK top 10 sporting event, the 4 day Festival in March was attracting up to 240,000 visitors, with c70,000 on Gold Cup Day. However, its success had become a huge challenge, with crowd circulation and outdated facilities creaking under the pressure. 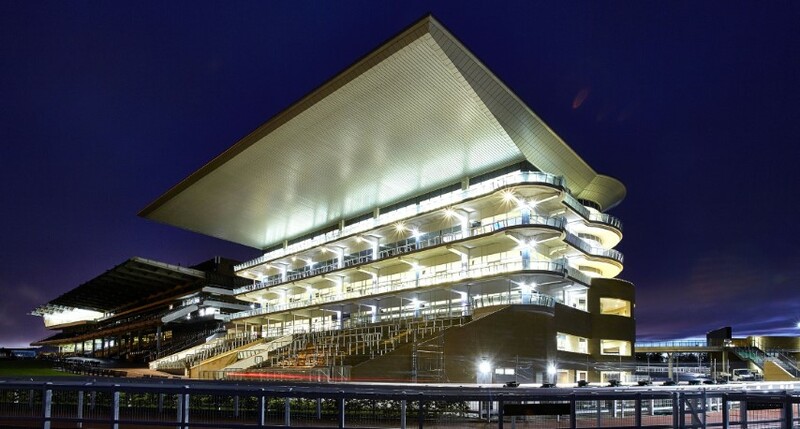 This comprehensive and complex project presented numerous challenges, including its Green Belt location, its complex levels and connection into the existing building, together with time constraints and capped costs and the necessity to allow racing to continue during construction. The aim of the development was always to increase the quality and comfort of the experience, not to increase capacity. The new 5½ storey, 6,000 capacity Grandstand has a spectacular 30m cantilevered wing roof fronting the racecourse. 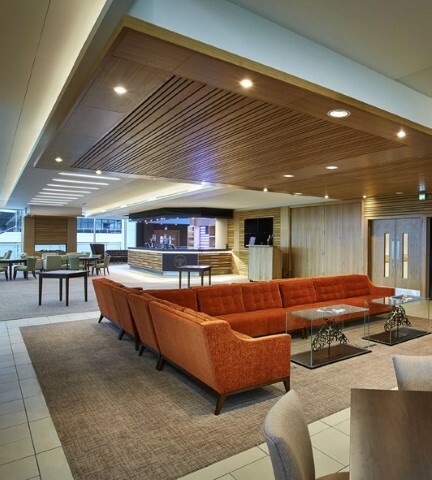 Extensive balconies wrap around the whole building, creating unparalleled views from its multiple range of high quality hospitality venues to the racecourse and equally important views to the Parade Ring on the opposite side. Capitalising on the levels, a sweeping, floating Crescent Walkway creates a double layer of viewing and circulation to the south end of the Parade Ring, dramatically driving a connecting route into the new Grandstand at high level and continuing across a new bridge over the re-routed Horse Walk to a new Plaza. 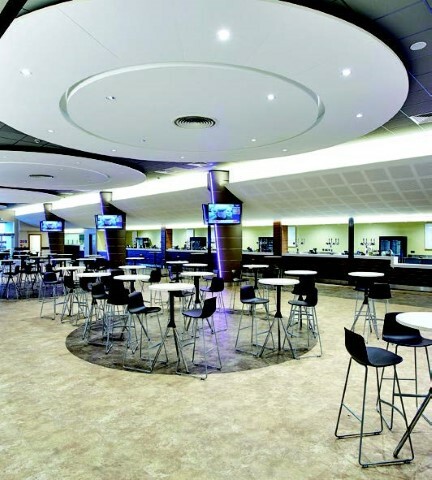 Other ancillary facilities include a new First Aid suite, a transformed ‘See You Then’ Bar, new hospitality entrance to the Gold Cup Room, new Paddock Terrace, Betting Shop, Trophy Room and a Tapas and Wine Bar, located under the new floating terraces above. The £45m (capped project cost) development was completed on time and to budget (with settled Final Account).